I am hoping to blog another update on Bryan soon, but for the moment, things are going okay, and we are happy for that! God has definitely been answering prayers! Each chemo cycle is 14 days, and we are on day eight today. This first cycle is kind of a ‘watch and wait’ cycle, as we see how Bryan reacts to things as we move forward. This will be our blueprint for the future cycles to come. Bryan is tired, but we are moving along and happy that treatment #1 is done and out of the way. We are ready to keep fighting this! So, so awesome you guys! 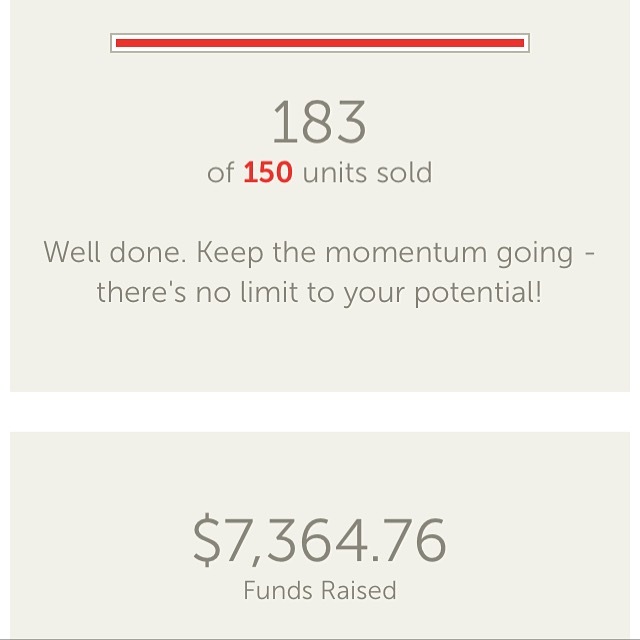 We exceeded our shirt sale goal, and we had so many super generous people who donated above and beyond the shirt sale! Thank you so much for being the hands and feet of Jesus to this family. They are so appreciative! Remember, you can stay updated on Nora and how you can be praying for her, by visiting her blog. I know they would definitely appreciate your continued prayers. I received my super cute t-shirt from the fundraiser in the mail this week and felt that it was only appropriate to show it off for What I Wore Wednesday with The Pleated Poppy this week! I know the mirror makes the words impossible to read, but I love the simple reminder of this shirt that I am “fearfully and wonderfully made” — even when I don’t feel like it! And, every time I wear this shirt, I will be thinking about sweet Nora and sending love and prayers her way. 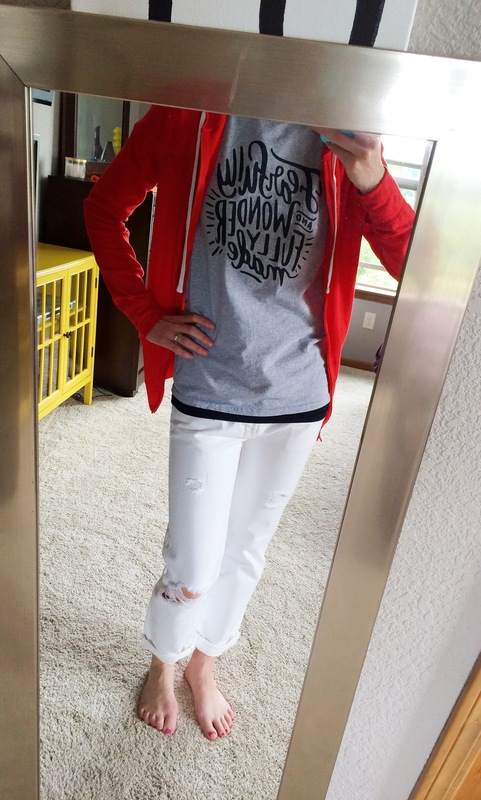 I looooove these jeans, too. I have only had them for a month but I have already worn them a lot (hint: size down if you order them!)! 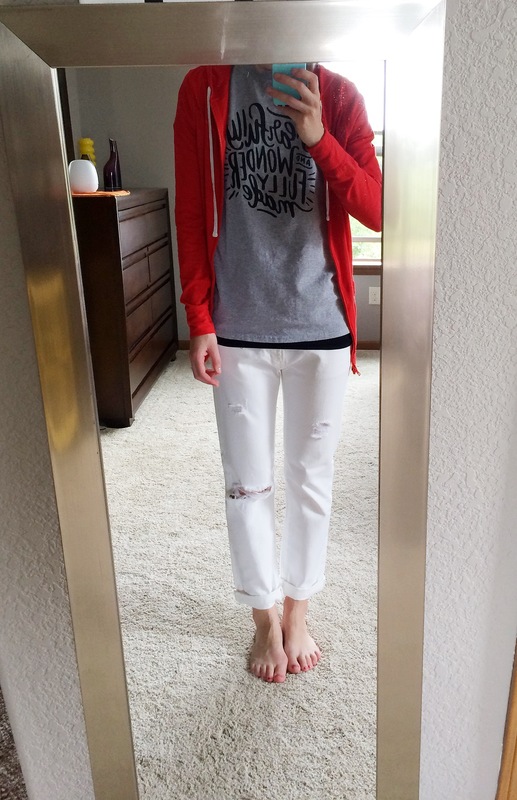 And the hoodie is also a favorite! I have a really long torso and so I like that I can buy it in a “tall” size so it has some extra length in both the torso and the sleeves. 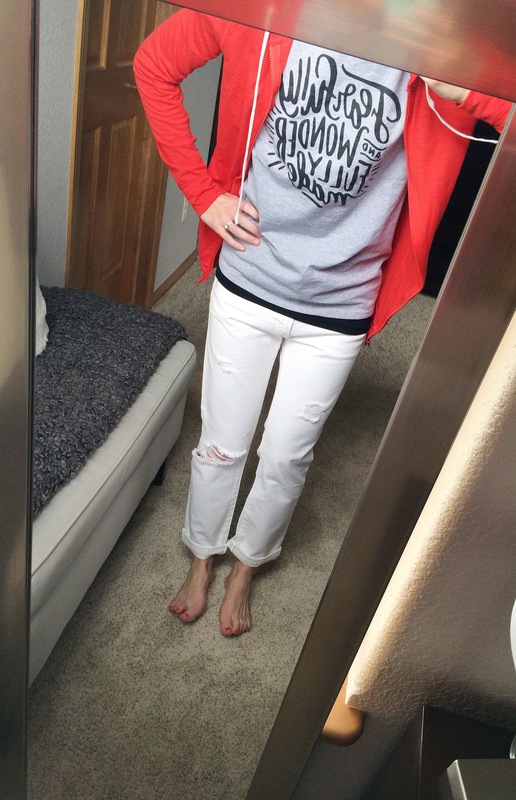 It also comes in a bunch of different colors (I may, or may not, own like five of these hoodies already…)! Thank you for all your continued prayers and support for my husband, as well. I will update more when I get a chance!